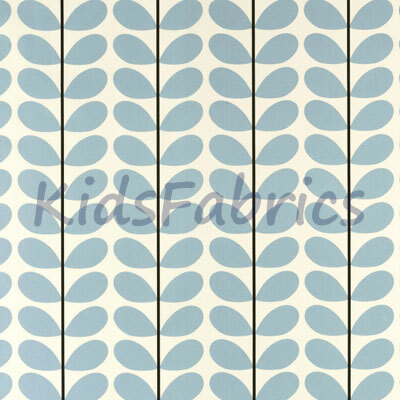 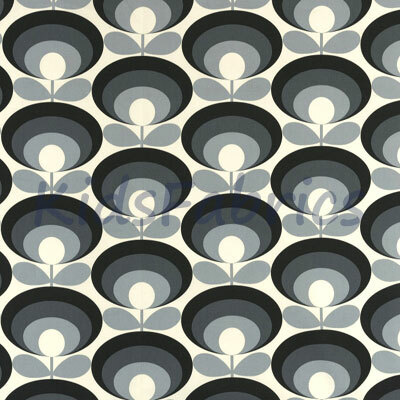 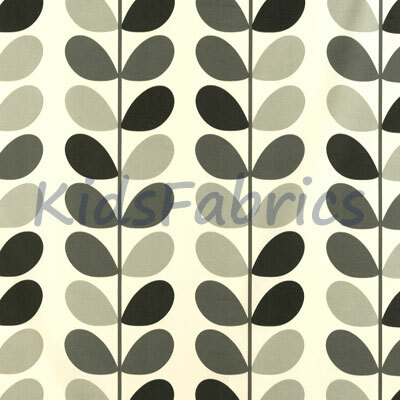 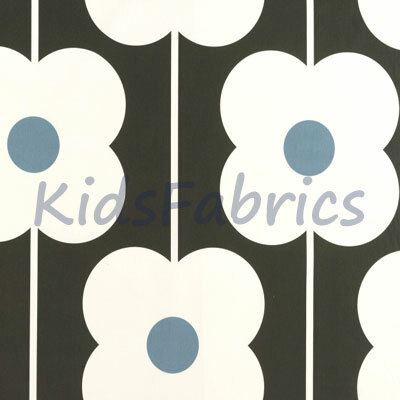 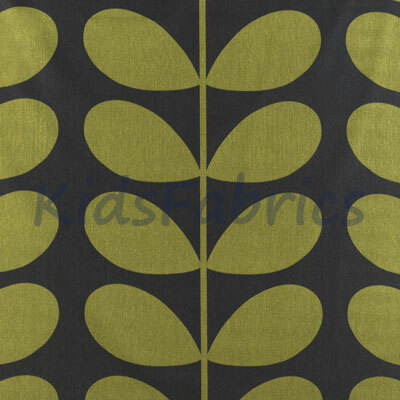 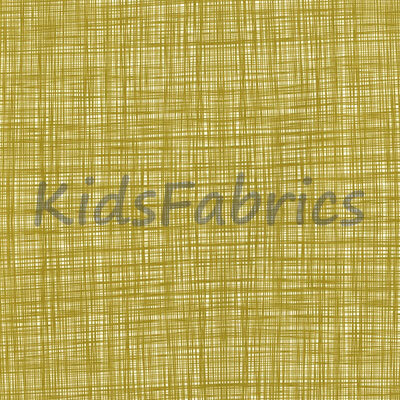 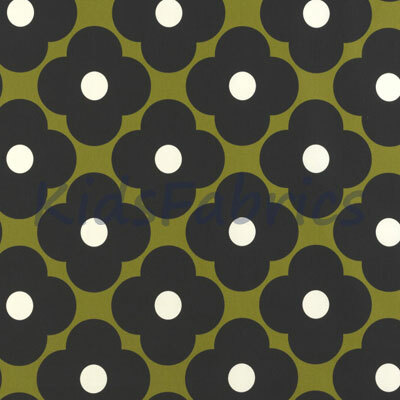 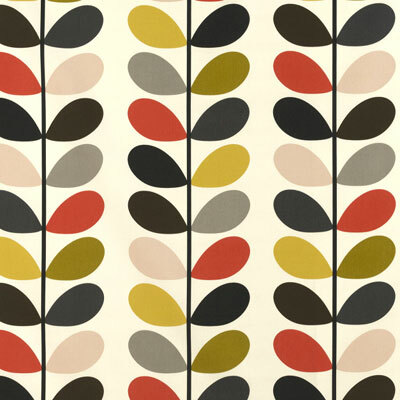 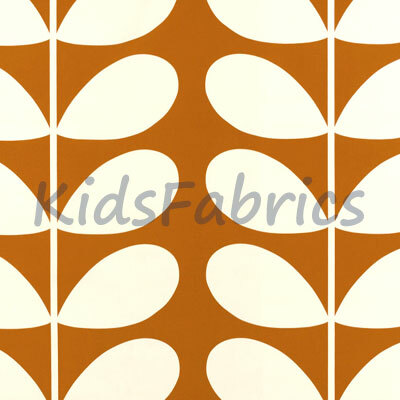 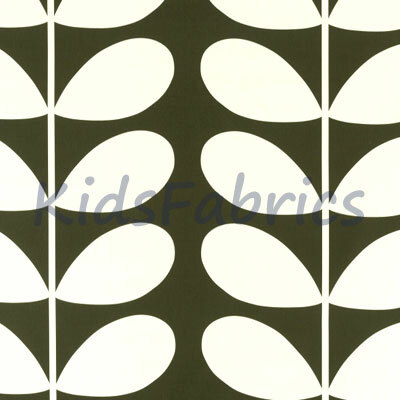 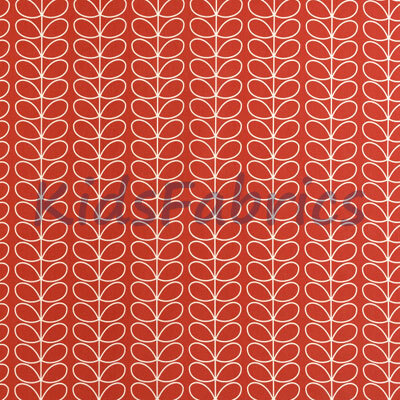 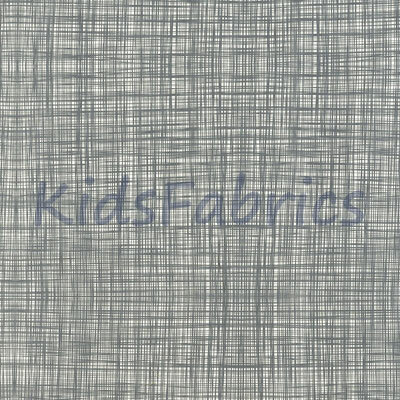 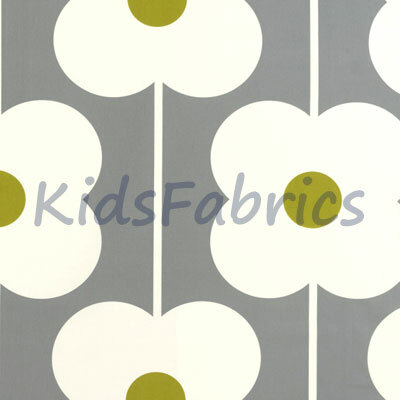 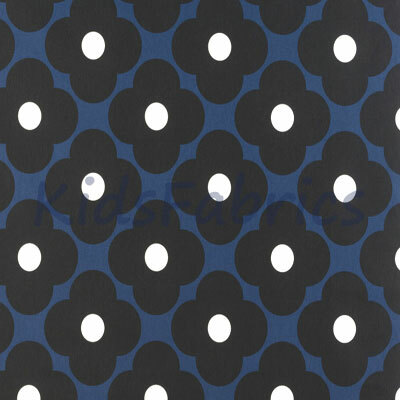 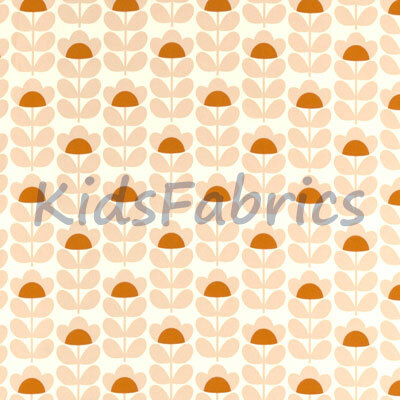 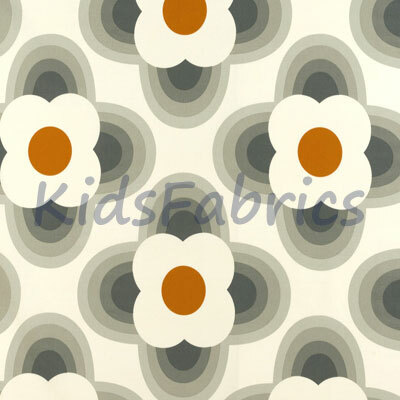 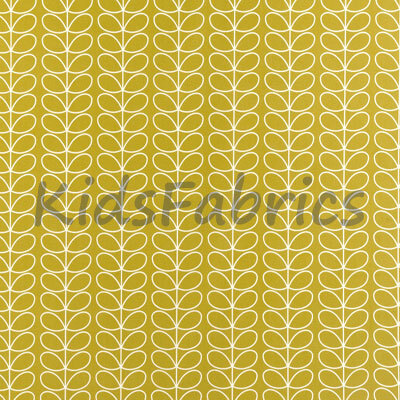 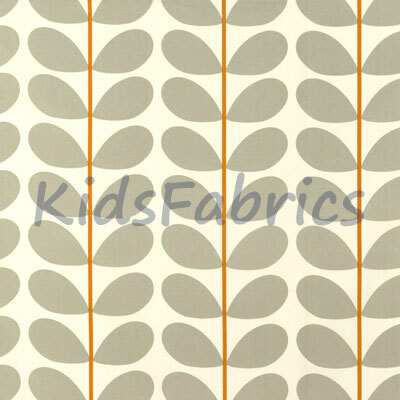 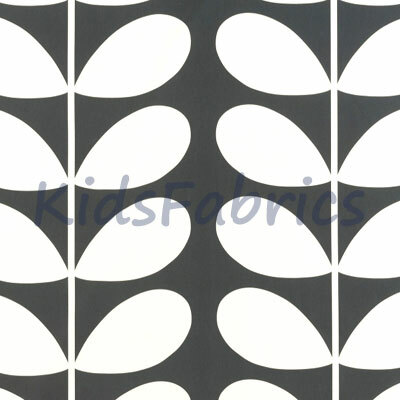 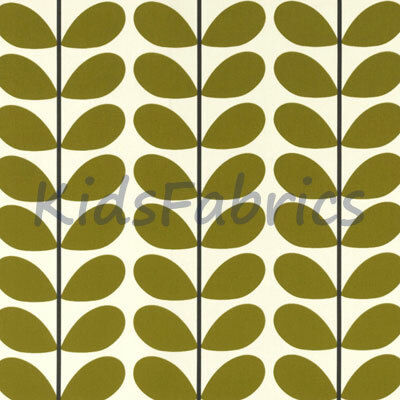 A collection of individual Orla Kiely printed fabrics on 100% cotton canvas. 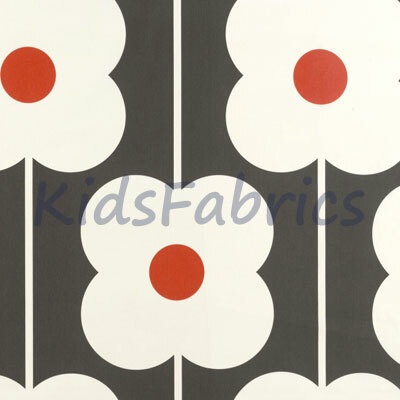 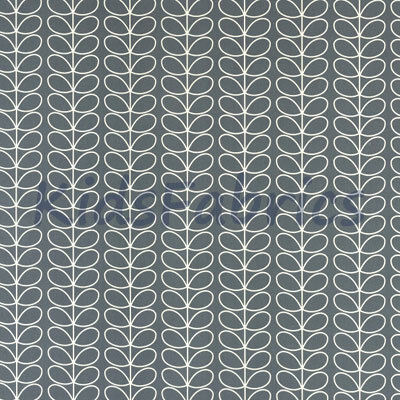 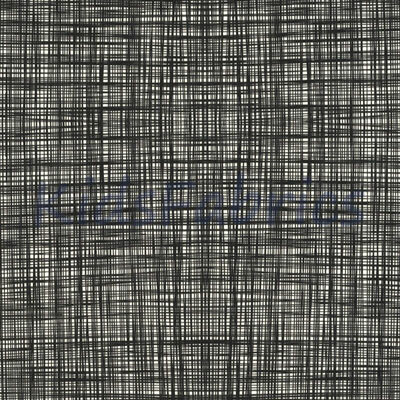 Presenting the Linear Stem, Abacus Flower, Seventies Oval Flower and the distinctive Multi Stem print and many other idiosyncratic patterns. 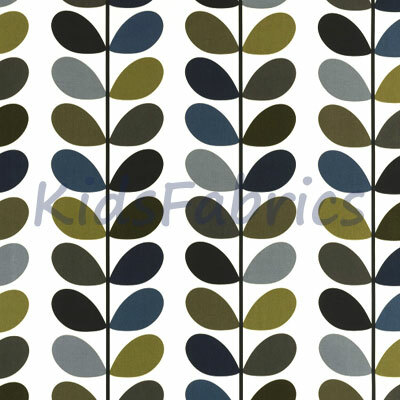 A colour palette of warm dandelion, seagrass, orange, olive, cool greys, moss green, powder blue and a dark marine.